As a business owner or senior manager, you will need to consider the options available to you and make the best decisions for your business. How do I know if my current bags are included in the ban? The Queensland Government’s ban relates to singlet-style plastic shopping bags with a thickness under 35 microns, whether made of HDPE* plastic, biodegradable, or degradable material. If you are unsure whether your current bag is under 35 microns, you will need to ask your supplier for evidence of the bags density or weight. Do I need to provide a bag? What types of products do you offer? Are they big or small? Light or heavy? What is the typical basket size and basket count? Do customers usually buy just a few items at a time? Do you provide a bag with every purchase or do you usually ask customers when they have a few items? How often do customers ask for a bag? How do think customers would react if you didn’t provide a bag? Have you ever run out of bags and not been able to provide them – how did customers react? By watching and measuring customer behaviour, you may find that your customers don’t need or expect a bag. Another option is to assess whether your product packaging can be adapted to have handles or an easier way to carry it. For example soft drink cartons have inbuilt handles rather than requiring a bag. Another great option is to assess whether a waste product can be used to carry goods. 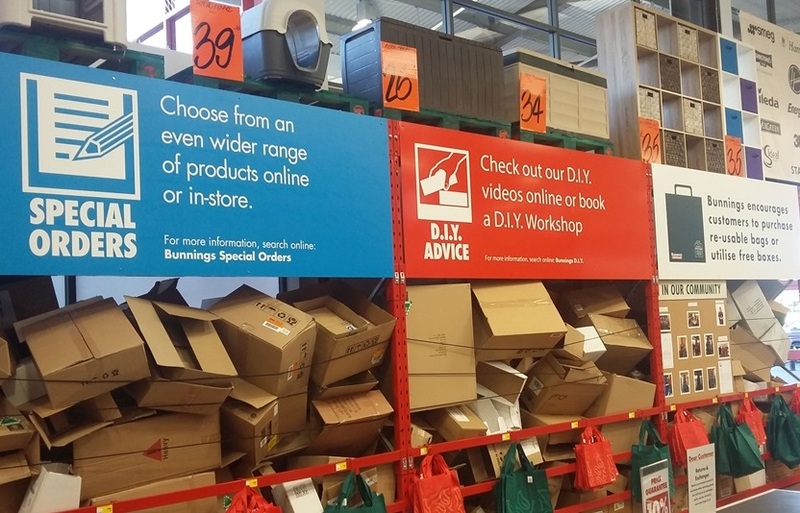 For example, can you provide recycled boxes from unpacking your stock, as implemented by Dan Murphy’s and Bunnings stores? This has the added benefit of reducing the cost of recycling the cardboard yourself. If none of the above options will suit your business, and you decide to continue offering bags to customers, the next step should be to assess what alternative bags are available. What alternative bags are best for my business? small and medium paper bags are often used by food outlets, such as fast food and bakeries. Pharmacies and newsagents also use paper bags. there is growing popularity for reusable bags that fold or scrunch up so that they are easily slipped into a handbag or glovebox (see samples below). This may present an opportunity for retailers to sell these bags. Should I charge customers for bags? As outlined in the examples above, each alternative bag has advantages and disadvantages. Some bags cost more per unit but similarly customers seem willing to pay for more reusable bags. Note: The NRA has found that 80% of shoppers are willing to pay for a paper, cloth or non-woven ‘green’ bag. Conversely, only 24% are willing to pay for a plastic bag even if it is compliant. If you have previously provided free lightweight plastic bags to your customers, and you remove the banned bags without providing a replacement, you should save on business costs. However you should carefully manage the transition to ensure customers are informed and prepared for the change to avoid negative feedback or loss of business. Most reusable bags carry a higher unit cost than lightweight plastic bags, so if you choose to supply the new alternatives free to customers you may incur higher business costs. You might choose to do this, for example, if you believe that consumers expect a free bag in your retail category, you want to increase ‘walk-around’ exposure of your brand, your competitors are using it as a sales advantage, or you can accommodate the additional cost in your product margins. Retailers have been introducing reusable bags over the past ten years in Australia, with many now charging a small amount per bag – creating widespread consumer familiarity with paying for reusable bags. Large retailers tend to be providing a range of bags for sale at different price-points to suit customer budgets. Smaller retailers may only need to offer one or two size and price options. This option presents a positive opportunity for retailers to recoup the cost of bags while giving people the choice to avoid a charge by bringing their own bag, rather than increasing the cost of all products to all customers. Note: Consumers appear to be willing to pay for quality, truly reusable bags and seem reluctant to pay for plastic bags which look or feel similar to banned bags even if they are technically compliant. Please note: you cannot supply banned bags from 1 July 2018 – regardless of whether they are free or charged. What processes need to change? Any change in the bags you offer or sell will mean some change in your business processes – whether as simple as displaying signage or as extensive as reconfiguring your POS area and packing processes. What ordering processes need to change? When will we stop ordering and using banned bags? Do your new bags will need associated equipment such as holders or racks? Will your team pack bags or will customers pack their own? Will this effect the speed of service? Will your team need OH&S training, policies regarding cleanliness of consumers’ bags, or additional packing space? How will you promote the new bags? How will you handle potential objections or issues? How can you make this change into a positive marketing or customer engagement opportunity? In 2003, Bunnings introduced a 10c charge per plastic bag, which resulted in a 99% reduction in bag usage over five years. In 2008, it removed plastic bags from its outlets altogether, replacing them with reusable bags and cardboard boxes. In July 2017 Coles, Woolworths and Harris Farm Markets announced that they will be ceasing to supply lightweight plastic bags, not only in Queensland, but nationwide, from 1 July 2018. What should I do with unused banned bags? It is important to note that no grace period applies in Queensland and fines apply from 1 July 2018. You must not supply a banned bag from 1 July even if you are left with unused stock. There is no compensation for unused stock. If you are left with unused stock at the ban deadline, you can recycle soft plastics at a local recycler like REDcycle or you may be able to sell or exchange product with counterparts in jurisdictions where bag bans are not in place. Contact your local council to find out more about recycling facilities near you.